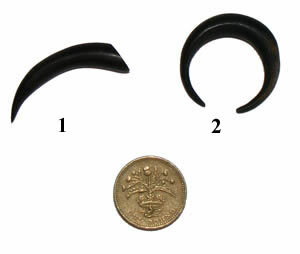 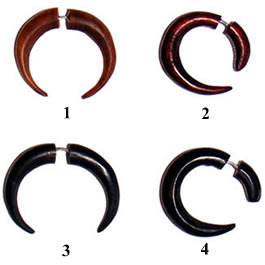 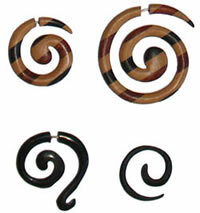 Wooden spiral earrings are presented in 3 main sizes: small (3 cm), medium (4 cm) and large (5 cm). 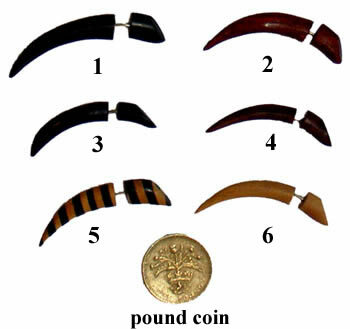 The prices and details are shown below. 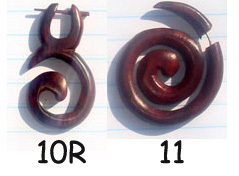 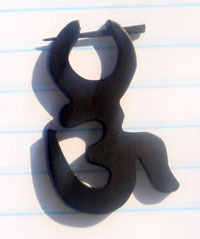 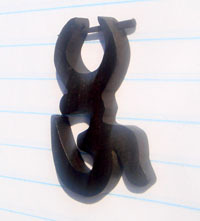 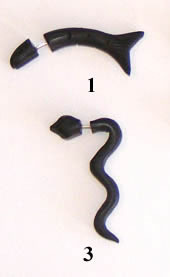 SPIRAL 8 (pictured above-small size - about 3 cm) - It has three types of wood put together: rosewood, white wood and ebony. 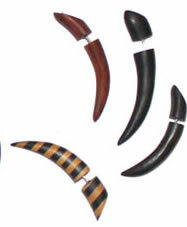 Made in ebano wood. 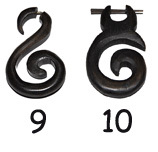 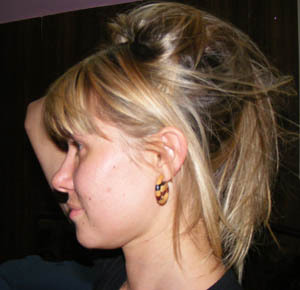 It uses a wooden post, unlike most of the other earrings above.